If you’ve ever thought about sliding through the city on a water slide, now you can. The township of Jiji, located in Nantou, is bringing England’s Park and Slide experience to Taiwan on October 3. 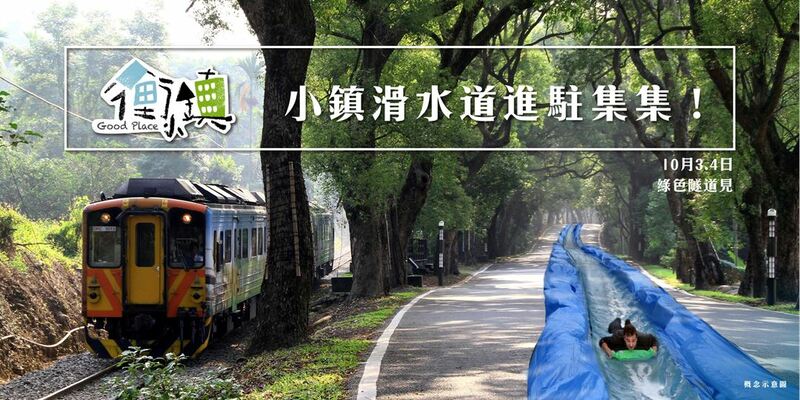 Travel at an average of 29 kilometers per hour down the 95 meter-long water slide located right in the middle of Jiji’s Green Tunnel, a 4.5 kilometre long boulevard of verdant camphor trees. Apart from the slide, visitors can drop by the various unique handicraft shops and check out specialties of Jiji, such as the banana that is loved the Japanese Emperor, the only hand-made guitar store left in Taiwan and the largest wild animal hospital on the island. Tickets are available from NT$799, but act fast as only a handful remain.